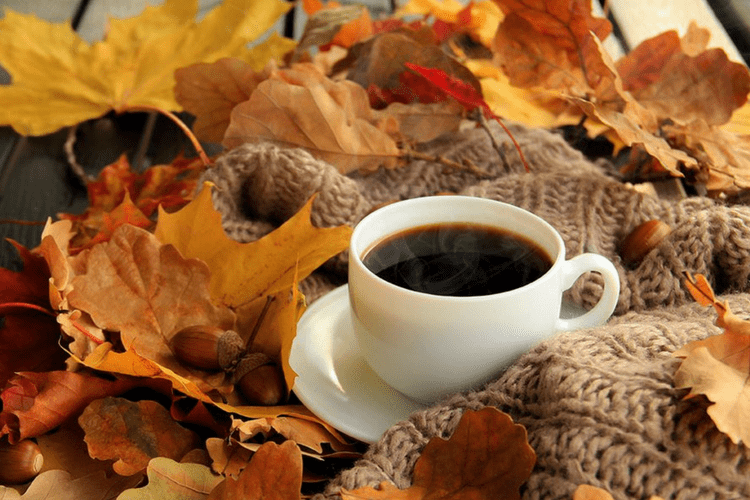 In the past, I’ve already given you guys, an idea of the kind of beauty products I love and use during winter months and now it’s time for fall favorites and ways to take that skin to the next level. It is the time of the year, when my usual combination to oily skin behaves blissfully normal – no more grease, no break-out threats and not even occasional pimples! But yes, it has started to feel tight and if I continue with my summer favorites, it’ll stretch and peel in no time. So yes, my primary goal during this time is to keep my skin looking and feeling hydrated for a smooth transition. Next thing is to get rid of the pigmentation marks and dark spots on my cheeks provoked by my last beach trip and harsh sunny months. I am using Nivea Refreshing Face Wash for these transitional months before it gets too cold and flaky. It’s a drugstore product with a simple hydrating formula that cleanses well without leaving skin dry or taut. I made this switch only last week, when my BHA based cleanser started giving me tight and flaky skin. There’s nothing great or unique about this product that I can talk about here or do a separate review post. The fact is it’s a just a cost effective cleanser that does its job. The hydrating gel formula goes well for fall months. 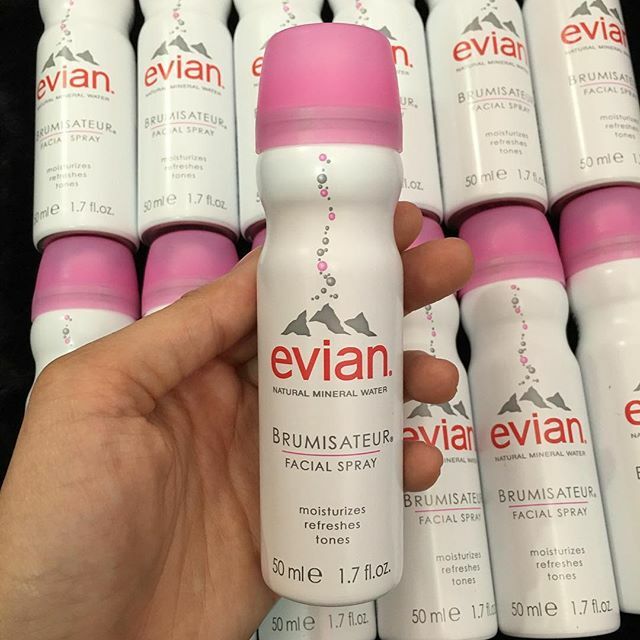 I am still sticking to my bottle of Evian Brumisateur Natural Mineral Water Facial Spray that hubby got from Paris. It’s a perfect formula that cools your skin in summer and hydrates it in winter/fall months. Whatever toner you pick, just be sure to avoid alcohol based toners for fall/winter months because alcohol is extremely drying to the skin and would leave your skin feeling too tight and scaly. 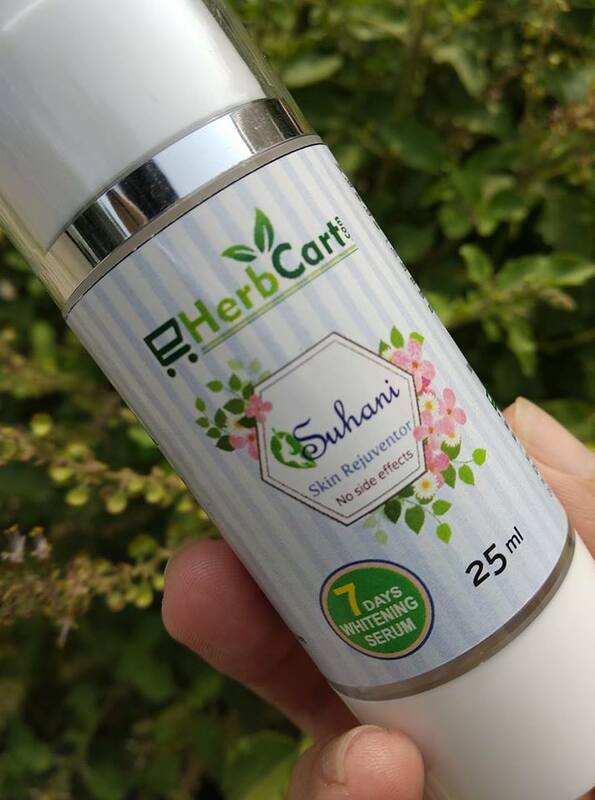 I finished my last bottle of vitamin C serum a couple of months back and replaced it with a nourishing whitening serum by eHerbCart (PR Sample). This not only better hydrates my parched fall dry skin but also helps fight pigmentation, dark spots and acne marks on my cheeks. I don’t use any separate day cream during summers and wear vitamin C serum as moisturizer under my sunscreen. But as the weather starts to get on the cooler side I find myself reaching out to either of my two favorite day creams – Kaya skin Clinic brightening day cream or L’Oreal Paris White Perfect day cream. For this fall, I’m using brightening day cream by Kaya Skin Clinic. It’s a light weight water based moisturizer that suits my combination skin perfectly during transition months. But if you have dry to normal skin, you might need a more deeply penetrating moisturizer to prevent developing any dry patches on your skin. But if you’re like me, looking for light weight formulas that provide the extra benefit of brightening, you can check out this list of best brightening day creams in India to take your pick. I am a sunscreen girl by all means. So no wonder, it deserves a special spot in my skincare routine year-round. 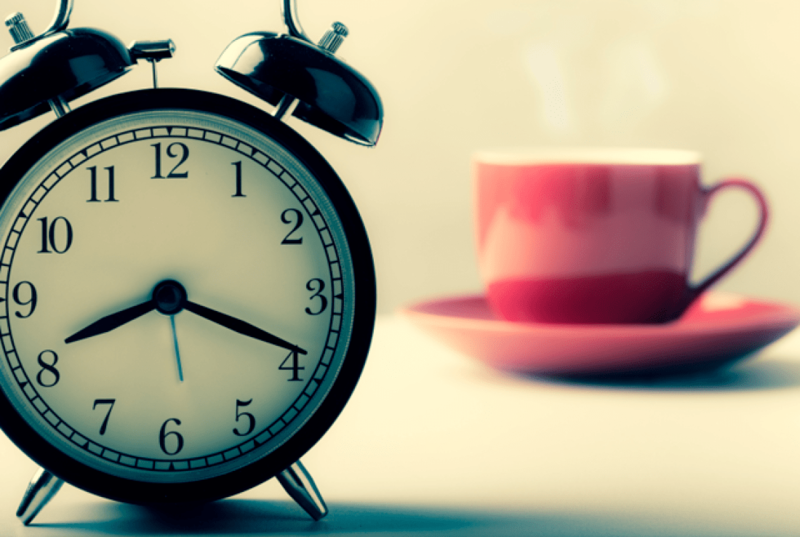 Just because the weather’s cooled down doesn’t means you one can skip this step. Since UV rays that are known for causing cancer, wrinkles, and sagging skin are present year round, sunscreen is as important in fall and winter months as it’s in spring and summer months. I love Kaya Daily Use Sunscreen with SPF 15 (indoors) and Lotus Herbals daily multi-function sunblock with SPF 70 (when outdoors for long hours) for fall months. Both are broad spectrum hydrating formulas that not only protect skin from harsh UVA & UVB rays but are also nourishing to the skin. 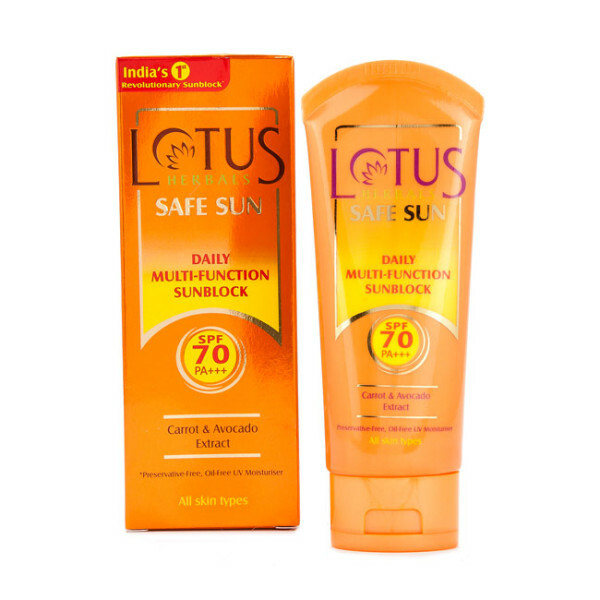 And since Lotus multi-function sunblock is a tinted formula, it also helps mask any pigmentation or brown spots that may have been accumulated during summer months. For night time cleansing I’ve found myself reaching our more and more for Avon Anew Ultimate Multi-performance cleanser. The rich creamy formula gently cleanses your skin removing all traces of dirt and make-up from your skin while leaving it radiantly soft, clean, and moisturized. Another plus is, it’s a multi-tasking product that can be used to deep cleanse pores, remove makeup from eyes and face, along with hydrate & nourish skin from deep within. I had shelved my retinol cream, read Ega all through the sweltering summer months and for good reason. Since retinol and other vitamin A derivatives, just like AHAs and BHAs are known to increase the risk of photo sensitivity, I try to avoid these products in sunny months. However, retinol products also help repair UV damage incurred during summer months, so fall is a great time to reincorporate these products into your skincare regimen. While, there are still a few pumps left in my night cream, I’ve already ordered for my tube of Ega cream. I tend to apply this cream directly after washing and toning my skin at bedtime. 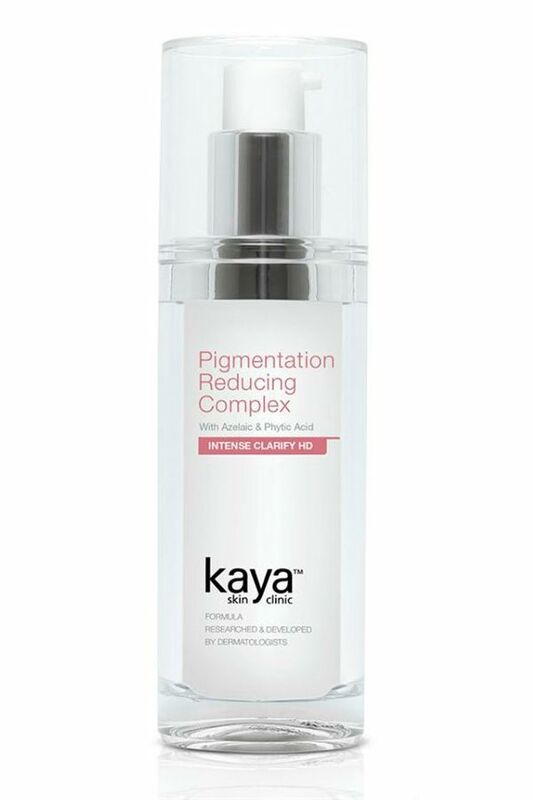 When it comes to pigmentation treatments, my best bet lies with Kaya Pigmentation Reducing Complex. It’s another of my fall favorite skincare products. I am using it daily as night cream (layer over Ega) to even out my complexion and lighten dark spots. Stay tuned for full review coming on this product. No change in my eye cream routine. I’ve been using Fair Eye under eye cream from past many months and I think it has really helped improve the skin quality under and around my eyes. Despite being an early riser and late sleeper, I don’t have any dark circles or puffiness under my eyes. I’ve been diligently using sheet masks every so often to improve both the texture and radiance of my skin. My favorite is the natural Rice sheet mask by The Face Shop. I find it to be both hydrating and brightening for my fall skin. Despite the change in weather and climate becoming cooler, I have not reduced my water intake. 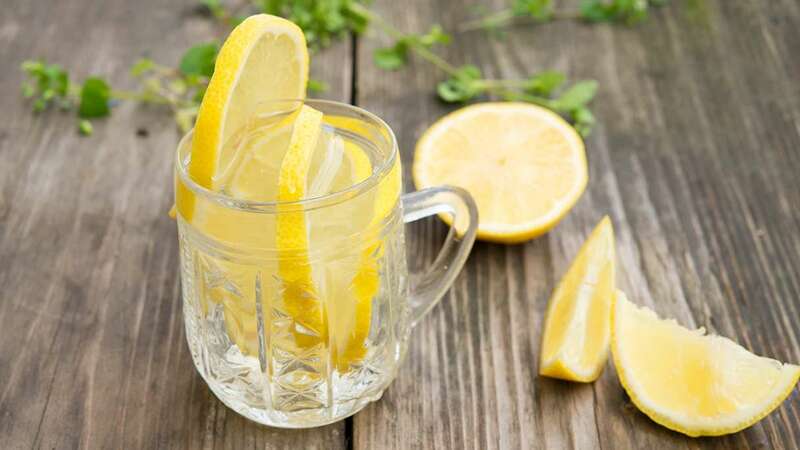 I am still drinking my target 8 glasses of water per day to maintain the natural moisture of my skin. I keep spraying my skin with Evion thermal spring water throughout the day for instant hydration and rejuvenation. Exfoliation is the simplest and best way to fade reminisces of the summer sun and beach fun showing up on your skin. From weekly exfoliation during summer time, I’ve now started exfoliating my skin to a couple of times per week. Also, instead of physical abrasives or scrubs, I prefer to gently exfoliate my skin with AHA based products during fall and winter months. As mentioned above in the post, topically I am using a brightening antioxidant serum (by EherbCart) during day time and Kaya PRC treatment at bed time in addition to my regular skincare products to get rid of summer pigmentation and brown spots. I am also working on the inside-out approach for my skin. And to achieve this, I’ve supplemented by diet with oral Vitamin C and Glutathione supplements. So that’s it for my fall skincare routine and beauty goals. I think I’ve covered most of it, if not all. I hope you’ve found the peek into my skincare routine to be useful. What are your beauty goals and skincare favorites for this fall? I would love to know about your skincare routine or any significant change you’ve made to it in lieu of the changing season. Please share your thoughts, goals and fall favorites in comments below. Sure dear. It’s a wonderful product, definitely would love to review it sooner!